here are hundreds of books on the Elizabethan era, and a person casually interested in the time period can be forgiven for not knowing where to start. The following are some references for both general and more specific aspects of Elizabethan life and society. The St. Ives Historical Society maintains this list in association with Amazon.com. Many books below are available in hardback, paperback or kindle as indicated by a link. We receive a commission on any sale that is made, but only if you use the links on our website to get to Amazon.com. Unless otherwise noted, all reviews were written by Richard Foss. If you would like to contribute to this listing, please contact the Webmaster. Exceptionally well organized, with some lively writing and many useful details. This book has the complete heraldry of the London guilds, with beautiful color plates of their crests and seals. The text is very well written and interesting, including brief histories of the guilds and some details about how and where the crafts were pursued. The illustrations of the guilds' heraldry are beautiful and will provide plenty of material for artists who are looking for sources. (I find the basket makers' heraldry, with the simple motto "Love One Another," to be quite touching). by Giles Milton (Sceptre PB 2000, also available in hardback from Hodder & Stoughton) There has been some argument about the attitudes of the Elizabethan settlers of the New World toward the original inhabitants, with some modern critics claiming that the English despised the Indians, others claiming that theirs was a fraternal relationship. In fact both attitudes did exist, sometimes among members of the same expedition. This book takes a balanced look at both, as well as the way in which assorted native tribes variously befriended and cheated the newcomers. "Big Chief Elizabeth" is very well written by Giles Milton, whose more famous book "Nathaniel's Nutmeg" chronicled the wars between the British and Dutch over the spice trade. Highly recommended to anyone with an interest in the history of Elizabethan seamanship and exploration. The references here are more Stuart than Tudor (reflecting, probably, the greater wealth of surviving material), but almost every page seems to have its little gem. This is an example of the recent trend in history scholarship to look to hard evidence and to the lives of the more "ordinary" people, the dirty details, as it were. It serves to remind that people in the past were not the cardboard cutout characters so often portrayed in "history" books but rather people with lives every bit as complex and confusing as our own. In 1568, the most famous poet in Germany and the finest woodcut artist in Europe joined forces to produce a book. The subject would be no less than "An exact description of all ranks and skills on Earth". The book they created fell somewhat short of that lofty ambition, but it is a splendid resource for the re-enactor. Jost Amman's beautifully detailed woodcuts of artisans in their workshops give us a splendid view of a craftsman's life, and Sachs brief poems which caption each picture frame the place of the artist in society. The costumes are of course all German, but the details of the workplace would be the same. If you want to see an Elizabethan thimble maker's workshop, a bell foundry, or a dentist at work, this is the book you are looking for. On first glance this book seems to take on an impossible task; no, more than one. Describe the civilization of even one country in even 649 pages, much less a whole continent? John Hales' masterwork does exactly that. This book examines so many ideas that even to mention them all in a review is impractical, but it does them in the framework of one huge idea: to describe the nature of Europe and Europeans before the huge revolution in ideas that was the renaissance, and to see how it changed, destroyed, and nurtured other ideas and arts. This may be the most brilliant survey of a historical epoch ever written, and it is absorbing reading from beginning to end. Read this book and you will get a sense of context that will help you understand everything else you know. "This book is not a series of essays or articles. It is bites of Elizabethan life that are, have been, or should be common knowledge for those of us who work and play in the 16th century on a regular basis: the little things that make up daily life, that everyone knows without thinking. It is primarily social history, not political or military." Want to know how to properly celebrate Hocktide or Shrove Tuesday? Curious about the custom of Dicing for Bibles, as practiced in the Cambridgeshire village of Saint Ives? Want to know how to conduct a candle auction? This useful book gives the dates and appropriate celebrations for all manner of traditional English and Scottish holidays, as well as some ancient customs of weddings, funerals, and other more personal events. This book is lively and amusing as well as useful for reference. This has a nice text-book feel without being a textbook The descriptions are concise and easy to read. Good high school reading. I would described this book as a Fodor's guide to 16C England-- eclectic coverage of all aspects of 16C England by an author who is unabashedly proud to be English to the extent the book is downright hilarious in spots. Original text, modern typeface, minor spelling regularization, but otherwise written in the grammar and language of the day. Good source for the beliefs and attitudes and writing style of the times (he with the most words wins.) Also a source of archaic slang and juicy period descriptive terms such as 'goose turd green' as well as information on everything from weights and measures to ordinance, law to fashion, and foods to religion. I tend to browse this book rather than read cover to cover. The best introduction to Medieval (and other) glasswork in Britain that I have seen anywhere is a little book from Shire publications, little in form, that is, but big on content, titled Discovering Stained Glass. A person could amass a respectable library of Elizabethan history just by buying every book ever written by A.L. Rowse, who turned out over fifty volumes during his long life (editor's note: Amazon is listing over 100.). Rowse is always readable and lively, and in this book he is at his best. The history of the Elizabethan voyages to North America is one of bravery, extravagance, brilliant seamanship, and complete financial failure. Virtually every investor in the American voyages lost a bundle of money, but they kept investing anyway, spurred by the obvious wealth of the new territories. Some interesting, noble, and eccentric characters are covered in this book, and it is possible to see in these visionaries the first seeds of a set of cultural traits which we now consider to be very American. This book is quite mis-id'd - it is not really about Elizabethans at home, but about Elizabethan homes, tastes in furniture, clothing, food, music, poetry, perfume- in short, about nearly everything but its title. It is nevertheless a wonderful resource. Ms. Burton has a smooth, chatty style that is quite endearing, and she has written a very good guide to Elizabethan taste and style. The illustrations are also first-class, if occasionally more beautiful than useful- it would have been nice if there were some captions so you know what you are looking at. 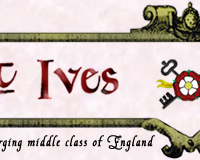 How did schoolchildren and middle class households live in 1600? Two dialogue books , written in about 1600, tell us how. The dialogues were used to teach French and Italian and are very interesting and give us much insight into Elizabethan home life. This book is currently out of print but amazon.com can get it for you for a price. (I have purchased two copies from them). (Jonathan Cape HB 1949 but reprinted many times in paper by Penguin Books) Elizabethan government was messy and fascinating, and this book does more than perhaps any other to sort it out. The theoretical ideas behind the Elizabethan Parliament are here, but so are the odd effects of centuries of eccentric jurisdictions and local rivalries. The pervasive corruption is here too, and we are given interesting glimpses of how local sheriffs manipulated elections, intimidated voters, and generally twisted the system. Highly readable, and highly recommended. Professor Harrison had a brilliant idea: to compile a chronological record of London gossip, diary entries, local news, and rumors. The result is splendid - we are used to reading about the doings of the great in a historical perspective, and it is wonderful to read about both the mighty and the lowly as contemporary people would have. Very highly recommended. (Several editions, some containing more material than others. Though written in a somewhat old-fashioned style, this book is well worth seeking out for detailed descriptions of traditional outdoor sports and games. The first edition (referenced above, and unfortunately the one I have) is likely to be the most expensive and least useful- in every copy I have seen, a bindery error caused several pages to be inserted out of order and some not included at all, which makes for frustrating reading. Turning page 84 (dice games) and finding that the next page is number 169 (description of a masquerade) can be somewhat trying. Those of calm and gentle temper may still find useful information among those pages which have been inserted in proper order, or even better, they can get the edition which has page 85 right where it belongs. This book is strangely flawed. First, the good points: interesting writing, excellent organization, and plenty of relevant graphics. The bad: No footnotes or documentation, making it useless as a historical source. The graphics are also curious: most are simplified reproductions of period pieces, again without sources or references to the originals. Why did they have a modern artist draw a picture of a woodcut of ships loading merchandise in 1547? If we want to see the original, where can we find it? No clues here, and no recommendation for this book. Have you ever wondered what Shakespeare meant when he called someone a moon-calf, or what it means to be baker-legged? This delightful little book explains these and other outdated expressions, and it's a charming gift for anyone who simply loves language. This humorous children's book (written on about a fourth grade reading level) tells many interesting and humorous facts about Elizabeth I. (i.e. what she did to courtiers who farted). Kind of jauntily written but an easy 45 minute read. "History with the nasty bits left in". This enormously popular series of humorous history books (in Britain it's even more popular than the "Goosebumps" series) takes a stab at the Tudor era. Covers topics such as "Terrible Tudor Life- and Death" "Terrible Tudor Schools" (including what you would eat at one) "Let's play doctor- match the illness with the cure". 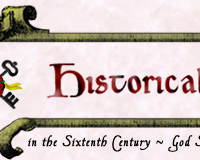 Plus- crime and punishment, witch trials, food (with easy recipes) Fun and Games (Renaissance games you can play and Renaissance Games You Should Not Play) Clothing and Life for Women. An enjoyable and funny book written on about a seventh grade level. A two hour read. Who invited Queen Elizabeth I to visit his toilet? This and other fascinating questions are answered in this sequel to Horrible Histories: The Terrible Tudors: Lot's of stuff on King Henry, Elizabeth and the Earle of Essex. Lot's of hilarious information on the Queens progress' (including bowel movements). The sequel is actually a better read than the original. Both have a lot of good information for gigs. Seventh grade reading level. A two hour read. An excellent overview of the Tudor dynasty; very good for anyone who is interested in relationships within the family. It is particularly illuminating in regards to the relationships between Henry and his children, but oddly brief and incomplete regarding Elizabeth's attempts to marry. First published about 1720, the fictional journal of a survivor of the London plague of 1664, written by a man who did (as a child) witness and survive that plague. Drawing on personal recollections and abundant contemporary material Defoe paints a vivid account of the unimaginable horror of the plague. Of times when the man with whom you did break fast might be seen on the death cart that even. Some did pray and some did party. "Eat drink and be merry for on the morrow you shall die," was a common response as was Devil worship as people felt they had been abandoned. Though written much later than the 16C we portray, medical science and public attitudes have not changed significantly making "A Journal of the Plague Year" a must for anyone interested in understanding, portraying or commenting on the plague or our 16C attitudes toward plague etc. A astonishing book from the hand of the author of Robinson Crusoe. "Medieval Bridges" covers another necessary aspect of any road network in rainy and river crossed England. No Roman bridges remain intact, and only hints of medieval (or Tudor) bridges made of timber, but quite a number of medieval stone bridges remain in use to this day, as they and others clearly were in Tudor times . . . quite a tribute to the masons who designed and built them over five hundred years ago. This book discusses, among other details, those masons, the "masons' lodges" which housed them as they traveled from job to job, and the funding mechanisms which paid their wage, as well as considerable detail concerning architectural "style" (often similar to, except in sheer bulk, and clearly derived from, Church construction of their day). We're talking major structures here, many today carrying motor cars and trucks where once carts and wagons rolled. 37 pictures; several maps; bibliography and guide. Paul Hindle Shire Publications Ltd.
"Medieval Roads" opens with a chapter on travel in medieval times, and quickly and thoroughly makes the case that there was far more of it than we nowadays imagine. Included are such tidbits as that English place ids containing "gate" come usually not from "gate" as we now understand the word but rather from "gate" in old Danish, where it meant "road". Gives different meaning to "twelve gates to the city", doesn't it? The author notes also the familiar: "Then longen folk to goon on pilgrimages . . . And Specially from every shires ende Of Engelond to Canterbury they wende . . ." and points out that "Chaucer . . . takes it for granted that his readers know the road [taken in the "Tales"], and he never mentions any difficulty of travel." Indeed not, though he does make mention of roadhouses and Inns of the sort which everywhere supported (and were in turn supported by) travelers. But that's another subject, not covered by the book at hand. 48 illustrations (maps, pictures); discussion of documentary evidence, map evidence, and archaeological evidence; bibliography. The spice trade to the East Indies was a fixation of every English merchant, for nowhere in the world were fortunes to be made so readily. England started late, with a relatively small fleet of poorly equipped ships facing the might of the Spanish, Portuguese, and Dutch. This splendidly written book details the struggle for dominance of the trade in cloves, nutmeg, and pepper, and gives character portraits of the often eccentric people who risked their lives on unknown seas and wild islands. It is not a perfect book and contains a few careless errors, such as giving Sir Francis Drake the command of the fight against the Armada. It is nevertheless both an enjoyable and enlightening read. 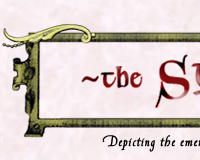 Want to know every house, field, church, and bramble bush associated with Shakespeare, Jonson, or Sir Philip Sidney? This will not only tell you where they are, but where they were. It is very handy if you want to know where people lived and if anything is still standing there, and would be useful for a literary obsessive who is planning a trip. Authors, playwrights, and poets both famous and obscure, from every era up to modern times, are listed here. The descriptions are sometimes terse and presume a high level of familiarity with classic literature, but this is a good resource nevertheless. 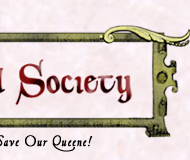 A very good introduction to Elizabethan society, with a well-organized index. Machiavelli tells it as it is, not as we might wish it to be, and for this honesty has been tarred and feathered by every political idealist to follow him. By Shakespeare's time "Machiavellian" had become a synonym for double dealing and deceit, a most unjust use of the id of a very perceptive realist. Read and learn about power politics in a day and age that permitted no second place winners. The more recent translations seem to have the least political spin and see the man and his works for what they are, and do not damn him because he does not say what they wish. Equally applicable to Bill Gates or Henry VIII. The author appears to have examined every parish ledger, court record, household account, or other document which survives from Tudor England, as well as the rants of every offended cleric. The result is alternately tedious and fascinating. He chronicles the onset of Puritanism in England, and the bulk of the references are 16th century. His recounting of the "church ales" and "May poles" of early Tudor times leaves them sounding a lot like the "kegger" parties we know and love, and the denunciations have a timeless air about them too. ISBN 0-590-6484-1) This fast-moving and well-crafted piece of fiction is the diary that Queen Elizabeth the First never actually wrote. Though the prose throughout is in a modern style and many of the entries show modern ideas about subjects such as class and relationships, the whole effect is still fairly convincing. This is an excellent book for a younger reader, and children from seven to twelve should find it an absorbing introduction to both the person and the era. With any luck they will go on from here and read some history. (Allen & Unwin 1933, reprinted several times) For those interested in how town government worked, and how well, this book is an excellent resource. James Henry Thomas gives a good overview of how things were supposed to work and then measures how well they actually did, using records compiled from the statute books, legal histories, and other records of several English regions. The writing is clear and occasionally humorous, often giving surprising details of the lives of everyday people who did their part to make the system function or ran afoul of it when things broke down. This may be hard to find, but it is very worthwhile. (Longmans, Green, & Co., New York - 1st Edition 1924, 2nd Edition 1951) If you really want a feel for the ways the Elizabethans wrote official papers, you must have this book. Here are Elizabethan contracts, indentures, leases, writs, bills, patents, rental agreements - every bit of paperwork having to do with everyday life. The little details are sometimes enlightening, sometimes as frustrating as the famous incident in Shakespeare's will in which he leaves his second-best bed to his wife and never says what happened to the best one. There is splendid source material here. (Dorset Press, 1991) This book presents Drake not only as a great seafarer, but also a tactical genius, and as such is at odds with some other works -- such as The Armada Papers (see below). Drake was undoubtably a great sailor and leader, but some other accounts show him to have been a bit erratic; this book glosses over or forgives all of his mistakes at the Armada battles, Lisbon, and Panama. The book is very well written and quite entertaining in any case, and a good companion to more skeptical works. A fascinating history of Elizabeth's great enemy, the rebellious Irish Earl who almost wrested control of the Emerald Isle from the English. This is the very best biography of O'Neill, and provides excellent source material on Irish history throughout the Sixteenth Century. This is an oversized paperback of about 200 pages. It contains excellent and numerous pictures to keep even readers who are less inclined to actually read, busy. It focuses on nearly all aspects of Queen Elizabeth's history and gives brief but detailed accounts of many other historical figures who interacted with her during her life. Even if you just flip through the pages, look only at the pictures and glance at their descriptions, you will learn plenty! Enjoy! (Macmillan, London 1965) The Earl of Southampton was Shakespeare's patron in the early stages of both mens' careers. Shakespeare became the most famed playwright in history; his patron spent much of his life in jail or under suspicion of Catholic beliefs, but was released in later life and became one of the driving forces behind the settlement of Virginia. This book is well written and highly recommended. While this book is about the days of Henry VIII rather than his daughter Elizabeth, there is much in this volume that is relevant to the whole Tudor period. The Statesman referred to here is Cardinal Wolsey, the Saint is Sir Thomas More, and the conclusions are quite surprising to those whose only knowledge of More is the play "A Man For All Seasons". (The original title of this work was "The Statesman and the Fanatic," if that tells you anything.) The politics of King Henry VIII and the careers of these two men- a not very religious man of the church, and an overly religious man of the state - are examined in fine detail. There is masterful and enlightening writing here, and after you read this book a lot of things about the Elizabethan power structure suddenly make sense. Thomas Stukeley, according to most accounts, was the infamous and illegitimate son of King Henry VIII. This book relates the amazing life of this interesting Elizabethan character but from a unique perspective. Juan Tazon is Professor of English at the University of Oviedo, Spain. He intensely delves into many obscure documents from England, Spain and Italy to develop more than a biography of Stukeley. The reader is taken on a journey into European politics of the day and acquires a unique perspective of the Elizabethan period. This book is highly recommended to the scholar who seeks an up to date history of European monarchs, wars and treaties. "Alias Shakespeare" is the book that anti-Stratfordians point to as the best explanation of why someone else must have written all of the works attributed to a gentleman with the initials W.S. Joseph Sobran is sure that William Shakespeare can't have written them because... well he just can't have, so there. Mr. Shakespeare wasn't well traveled enough or rich enough to have been to all the places he described in his work, so he can't have written any of it. Sobran is a clever and insistent arguer, but he is not convincing here. The fact that the Earl of Oxford died in 1604 and that are references in several plays to subsequent events is just too much to gloss over, and Sobran's excuses do not hold water. Like many revisionist histories this book is interesting reading, but it is more an extended literary conspiracy theory than an anything else. I have yet to see any work claiming that P.J. O'Rourke wrote all the newspaper columns attributed to Joseph Sobran, but I guess I will only have to wait. (Archon Books HB 1970) First it must be clear that this is not a book about Elizabethan plays. This is a book about the buildings those plays were performed in -- the Theatre. If you are interested in the design of the stages and seating, the quality and technique of stagecraft, in the experience of being a theatergoer in Shakespeare's day, you need this book. This is actually, as the subtitle announces, a compendium of "Papers given at the International Conference on Elizabethan Theatre held at the University of Waterloo in July 1968." The writing is academic but surprisingly vigorous and enjoyable. Among the subjects covered are the conflicts between theatre owners and the Law, the methods used to get around the Privy Council's order for the destruction of all London theatres, and an attempt to reconstruct the Cockpit-in-Court, a playhouse built in 1596. Gurr's book paints an excellent portrait of the people for whom Shakespeare wrote his plays, the buildings in which they took place, and the cultural climate of the times, right down to the smell of the theatres. Included in the work are detailed descriptions of the social range of playgoers, the evolution of their theatrical tastes, and the physical conditions in which they lived, witnessed, and helped to create their theatrical experiences. This book is mostly useful for its descriptions of female audiences and playwrights, but has other useful information. There are some excellent references to primary sources cited to document women as playgoers. This is an excellent work which puts Shakespeare in context, both as a man and as an author. Along with the meticulous but interesting biography there are sections on English theater before the Shakespeare era, the type of education available to a countryman at the time, and the social circle in which Shakespeare found himself. Along the way, there is plenty of information to refute anyone who claims that Marlowe or Bacon wrote Shakespeare. This is a very good and informative read, and you may find yourself watching the plays with a new sense of enjoyment. This work gives a detailed analysis of a lot of the symbolism and structure of Shakespeare's plays as they relate to the traditional holidays and celebrations of the time. Half of the book is purely anthropological in describing the holidays and their seasonal cycles. The other half is devoted to analyzing the plays. There is only one great book about the Spanish Armada, and this is it. I read it and resolved to read everything else Howarth has ever written, and I'm glad I did. The Craftsman's Handbook: "Il Libro dell' Arte"
Of great use to the student of Renaissance painting and illumination. This is a primary source for painting methods, written in 15th century Florence. While most of Cennini's methods are superseded by modern technology (who needs to know how to keep miniver tails from getting moth eaten? ), the descriptions for techniques such as gilding, making period transparent paper, ink making, and metalpoint are invaluable. As with most period "how-to" books, it is as much a commentary as it is a manual; Cennini livens up the page with advice for the fledgling artist such as the proper frame of mind for entering the profession, and how to stop shaking hands by staying away from women. This book is a compilation of art techniques and material creation from period sources, recipes, and modern-day art analysis. Everything from foundations to pigments to glazes is covered in exhaustive detail. Highly recommended. Figuring out exactly *how* the Masters did it is the hardest part about getting started. This book showed me the way: a step-by-step manual with plenty of progress pictures, recipes, and color lists for a variety of artists' styles. Nothing can beat actual experimentation, but this book will give you a big head start. by Joan Cornish Willies, 1995, Watson/Guptill Publications. A modern-day practitioner of this most ancient art, Willies takes us step-by-step through the exacting process of making a "painting in small." Materials and, most importantly, suppliers are listed. An exhaustive, lavishly illustrated volume detailing the making of illuminated manuscripts and books. Everything is covered: from making your own quills to gilding to recreating period hands like uncials and Carolinian minuscule to bookbinding is here. There is also an extensive (perhaps too much so, for the stated subject matter) section on heraldry. The miniature is, arguably, one of the most important trends of the English Tudor period; so here is the Dean of Tudor Art to give us an overview of the working artists of the period, from Horenbout to Oliver. Not many color plates in this book, curiously, but the information spans the age well without getting mired down in too many details. This book, from the exhibition of the same id, is one of the best in showing an overview of all English art, not "just" miniature painting. Lavishly illustrated (not a single B&W in the book), with a number of hard-to-find plates, an extensive chronology and bibliography, and a phenomenal scientific evaluation of three period paintings. The Athelone Press (out of print). This book is for the serious student: what started out as a discussion of artists working on the Plea Roll illuminations turned into an overview of all painters working in England during the reigns of Henry VIII to Elizabeth I. Auerbach shows exhaustive research through the primary sources, finding documentary evidence for the lives and works of artists employed by the royal household. Also included are biographical notes, the text of warrants and other documents, and a tremendous bibliography. Mostly B&W with a few scattered tipped-in plates ( color plates that have been printed separately and then glued into the book). *The* reference book for this subject. Strong picks up where "Icon" left off, this time showing provenance, site, and detail shots. The paintings are categorized by sitter, and it is invaluable to be shown the different variations of the same painting by different hands (a common occurrence in this period). A few years back someone got the great idea of photographing and cataloging all of the miniatures that Elizabeth II owns. A book was proposed; it was later decided to expand this to three volumes. This is the second book of the series, and for our purposes is more valuable for the first 100 pages. Clear, crisp, clean photos, some of never-before seen miniatures. Full provenance and material listing. (various publications, both abridged and unabridged). Also called "Vasari's Lives", this is the premier primary source for information regarding the artists, commissions, and techniques of the 16th century. Highly informational, gossipy, and sometimes wildly (and hysterically) inaccurate; nonetheless a good resource. A good overview of the Renaissance movement, this book includes information on both Italian and Northern portraits (which so many fail to do). The information covers the techniques, styles, creation, and uses of the portrait in society. Not just a catalogue of the National Gallery's collection, this book seeks to describe the conditions and society in which the works were created. Religion, societal themes, inventions and developments in painting, techniques, methods, and imagery are all discussed in this lavishly illustrated volume.